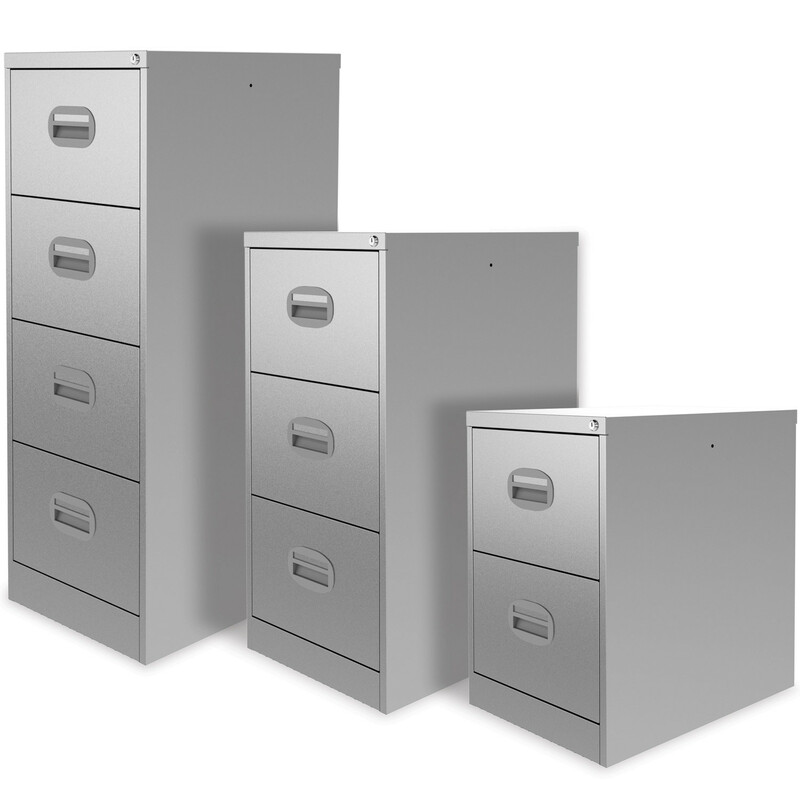 Midi Filing Cabinet range is presented in different shapes and sizes: foolscap and A4. 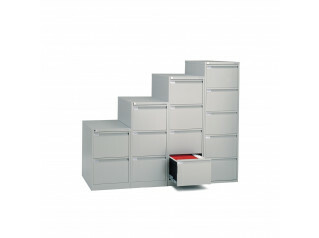 Midi Filing drawer cabinets with a filing capacity of 2.1 metres of linear storage can hold up to 40Kg per drawer. 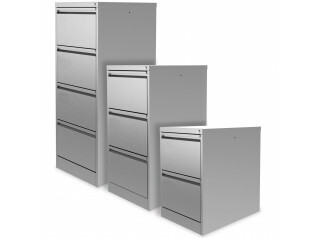 Featuring a 100% drawer extension with an optional divider kit; cabinets are presented with two, three and four drawers: foolscap and A4, or with one filing and three storage drawers. 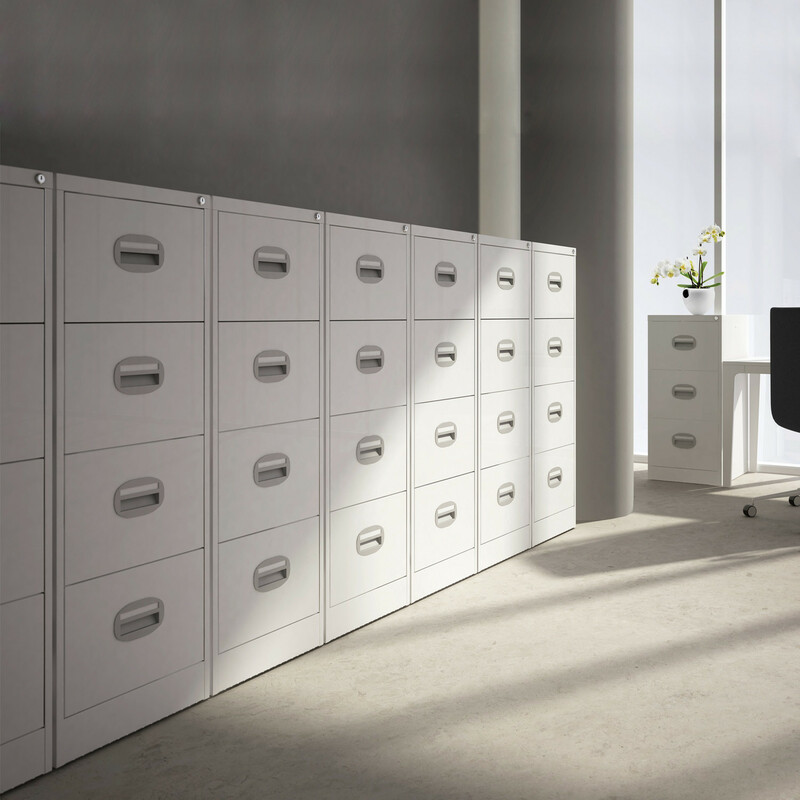 Midi office filing cabinet is available in a choice of 24 colours, with anti-tilt locking mechanism and two key mastered series. For extra safety a security bar matching the cabinet’s colour is available. 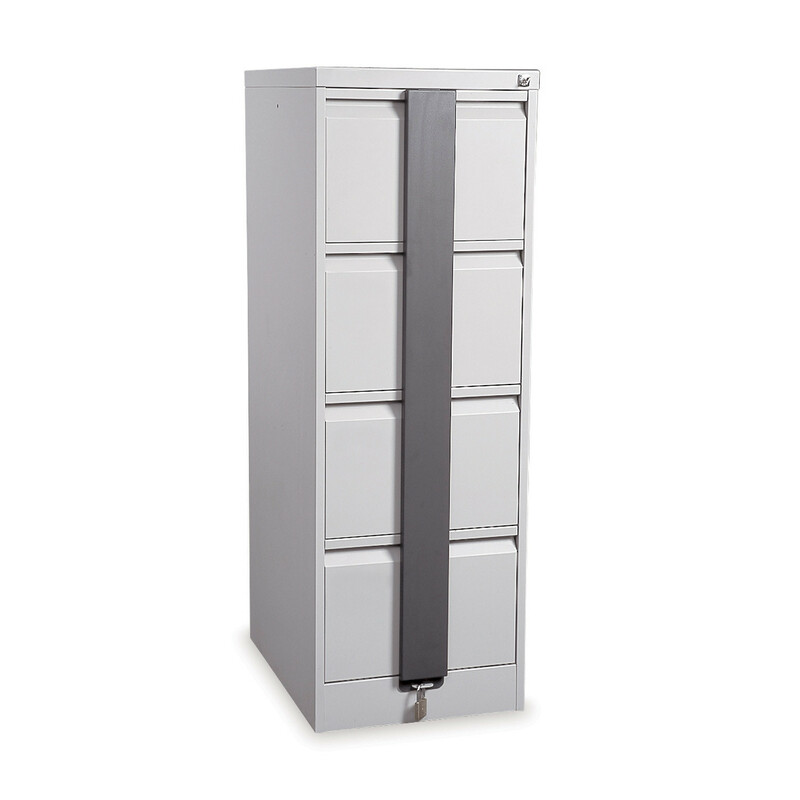 The Midi Filling Cabinet, by Silverline, has a 10 year guarantee and it is Fira certified. 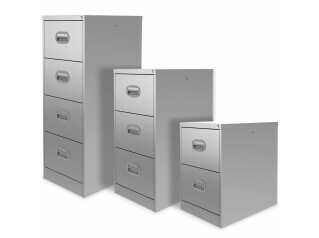 You are requesting a price for the "Midi Filing Cabinets"
To create a new project and add "Midi Filing Cabinets" to it please click the button below. 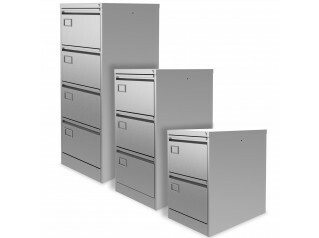 To add "Midi Filing Cabinets" to an existing project please select below.